$10 to register your sale! Contact the Manhattan Chamber to be added to our map. 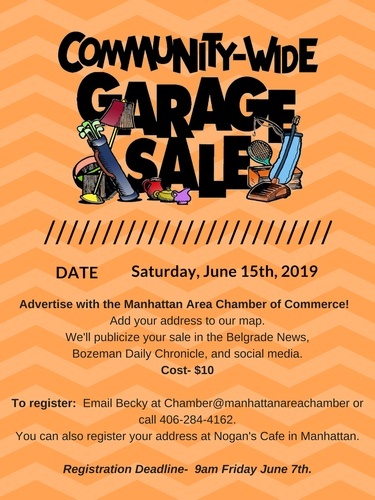 The Chamber will advertise your sale in local newspapers and social media. The Chamber will also print maps with the address of your sale that will be available to sale goers. Saturday, June 15th. 8am-2pm. No early birds!